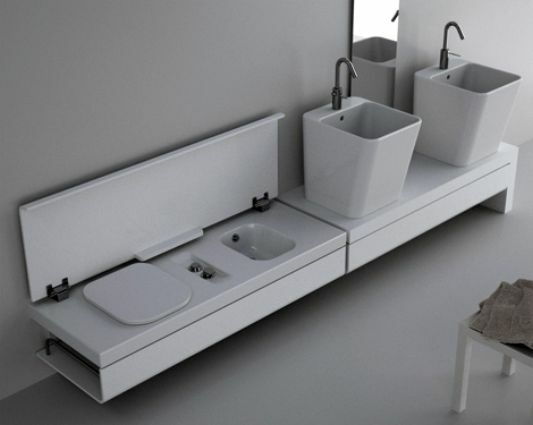 Bathroom with a compact and minimalist furniture, G-full bathroom which is a collection of this Hatria comes with a contemporary and minimalist design. 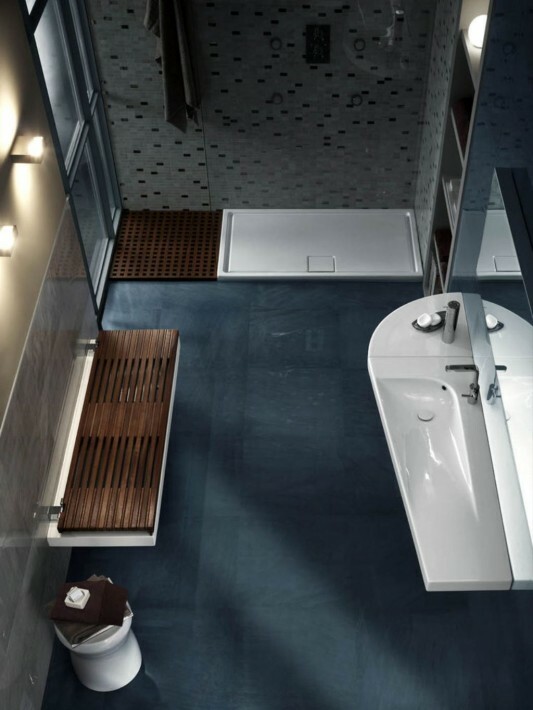 G-full is one part of the fitting system that combines the functions of an integrated sanitary toilet and bidet in a single ceramic surface. 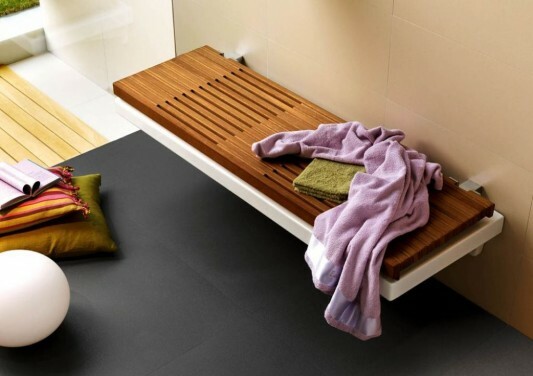 Furniture washbasin bathroom is a multifunctional, equipped with wooden lid, cover the form of strips of wood strong enough to use as a bench. 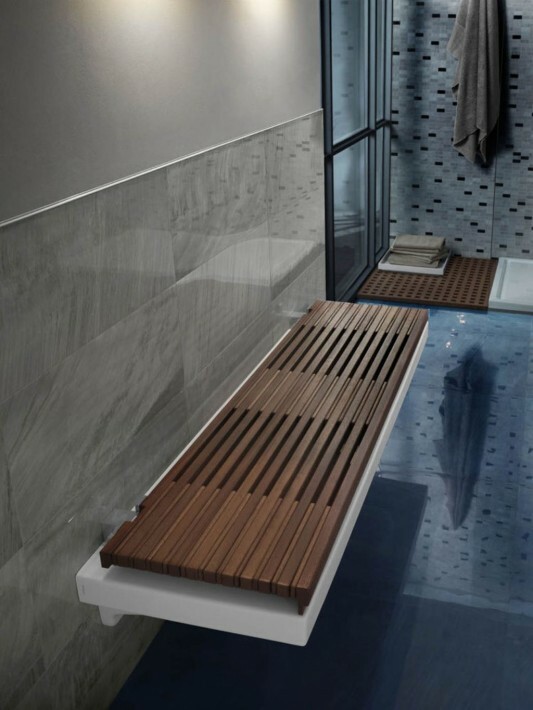 Washbasin-covered strip of wood, when not in use, creating extra seating. 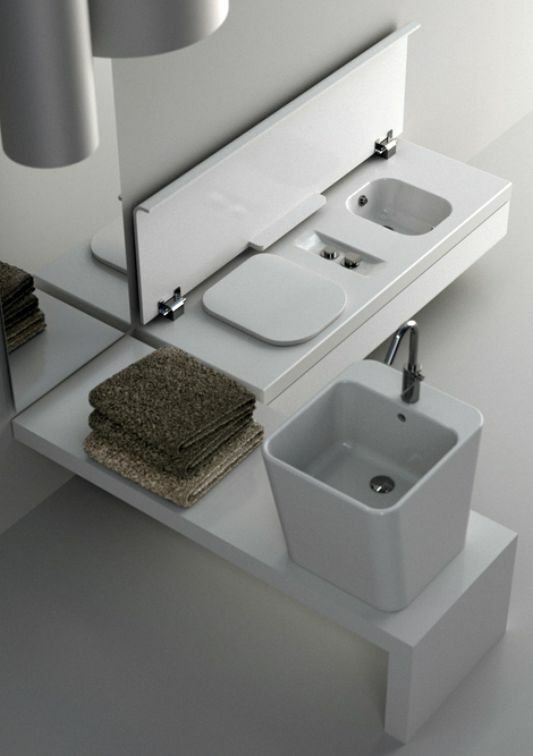 At the bottom of the washbasin was used as a storage rack, with each functional element of work. 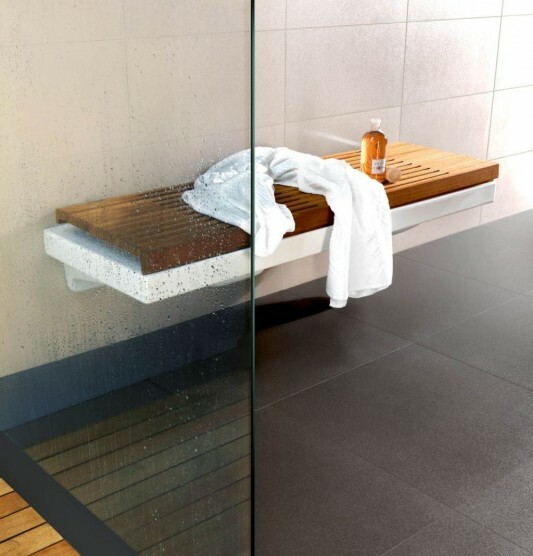 With washbasin is designed as a place to sit and also where to store, creating a compact bathroom space and minimalist. 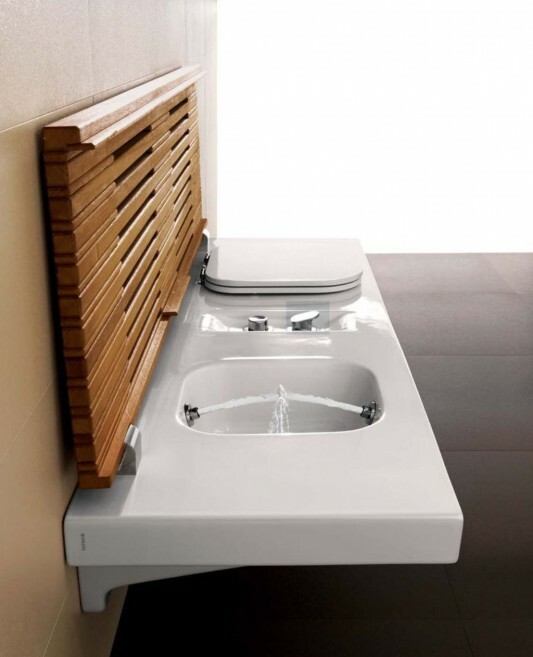 G-Full multi-function washbasin is made with ceramic chart. 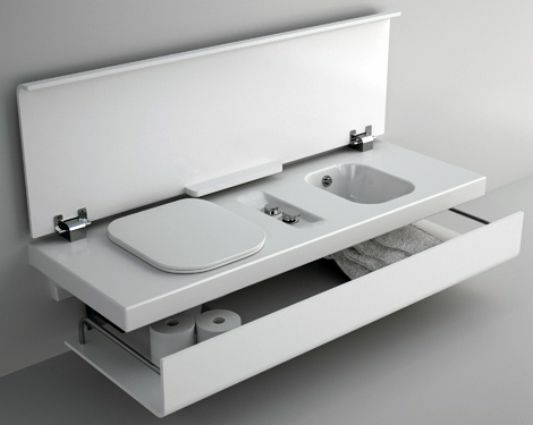 Multi functional furniture bathroom is to the hand to mouth anywhere in your bathroom. 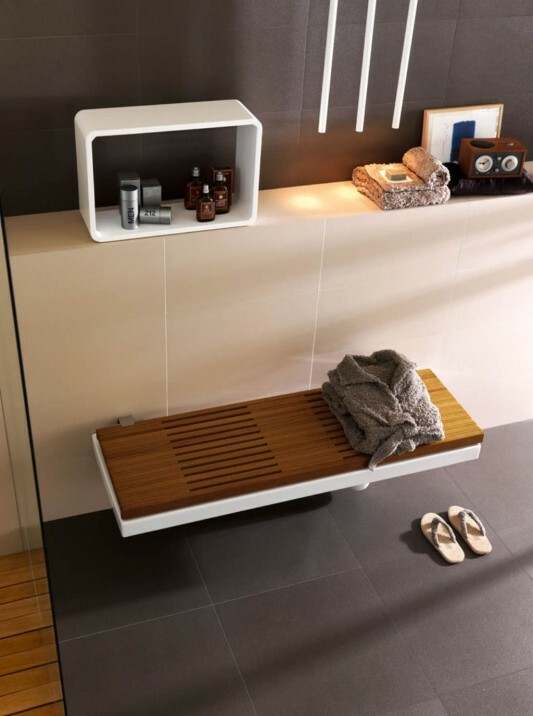 G-full bathroom furniture with simple and minimalist design, ease of placement in a bathroom that is not too large. Visit Hatria for more information.